2nd Suite for Military Band (dedicated to bandmaster James Causley Windram, 1886-1944) was composed in 1911 and was Holst’s second composition for concert band. In this arrangement as a Sonata for Clarinet and Piano, as much as possible of the Solo Clarinet band part has been retained and the part has been marked to indicate the original source (Woodwinds, Brass, etc.). 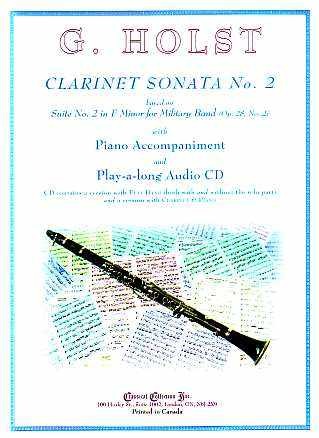 This makes the Sonata ideal for any Clarinetist who is studying or performing the 2nd Suite, to better play, understand and, in general, enjoy the wonderful music of this outstanding piece!